White chocolate, marshmallows and sprinkles, OH MY! 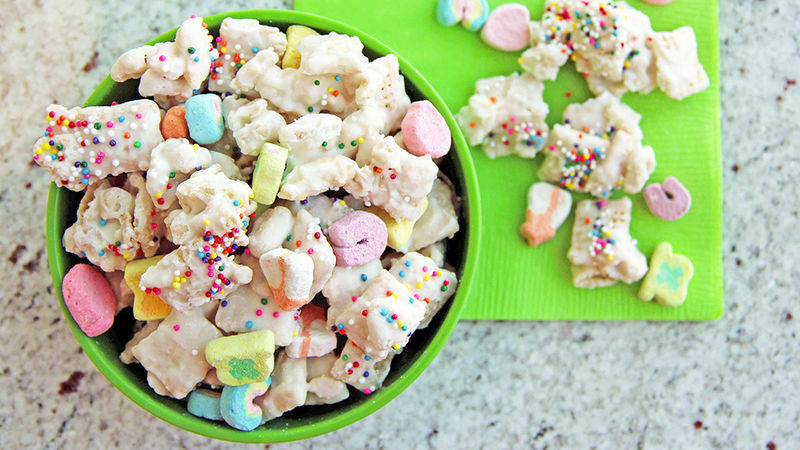 Lucky Rainbow Chex Mix is a tasty snack mix made with just a few tasty ingredients. This sweet treat is super easy to make. With just a little mixing, a coating of white chocolate and colourful sprinkles, you'll have a fun, rainbow coloured snack in no time flat.